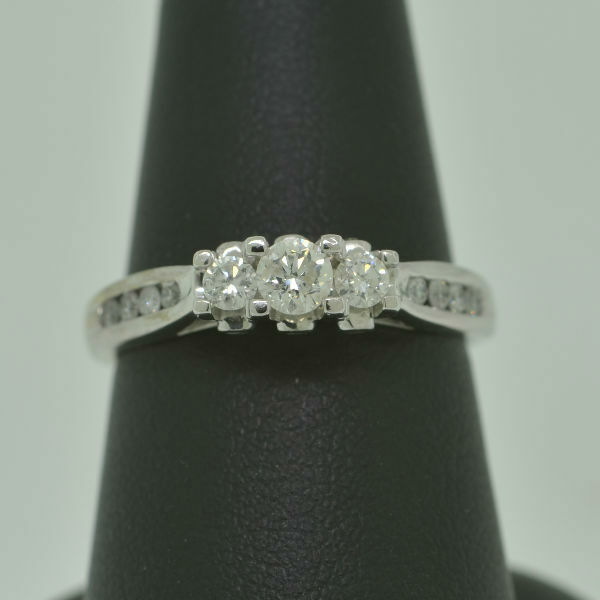 Description: Estate-12-3: 14k white gold diamond 3 stone engagement ring. All diamonds are round cut; diamonds on shank are channel set. .16ct center and .42ctw.